The national effort that enabled Astronaut Neil Armstrong to speak those words as he stepped onto the lunar surface fulfilled a dream as old as humanity. Establishing the technology to meet other national interests in space. Achieving preeminence in space for the United States. Carrying out a program of scientific exploration of the Moon. Developing man’s capability to work in the lunar environment. Jan. 27, 1967, tragedy struck on the launch pad at Cape Kennedy during a preflight test for Apollo 204 (AS-204). The mission was to be the first crewed flight of Apollo, and was scheduled to launch Feb. 21, 1967. Astronauts Virgil Grissom, Edward White and Roger Chaffee lost their lives when a fire swept through the command module, or CM. The exhaustive investigation of the fire and extensive reworking of the Apollo command modules postponed crewed launches until NASA officials cleared them for flight. Saturn IB schedules were suspended for nearly a year, and the launch vehicle that finally bore the designation AS-204 carried a lunar module, or LM, as the payload, instead of a CM. The missions of AS-201 and AS-202 with Apollo spacecraft aboard had been unofficially known as Apollo 1 and Apollo 2 missions. AS-203 carried only the aerodynamic nose cone. 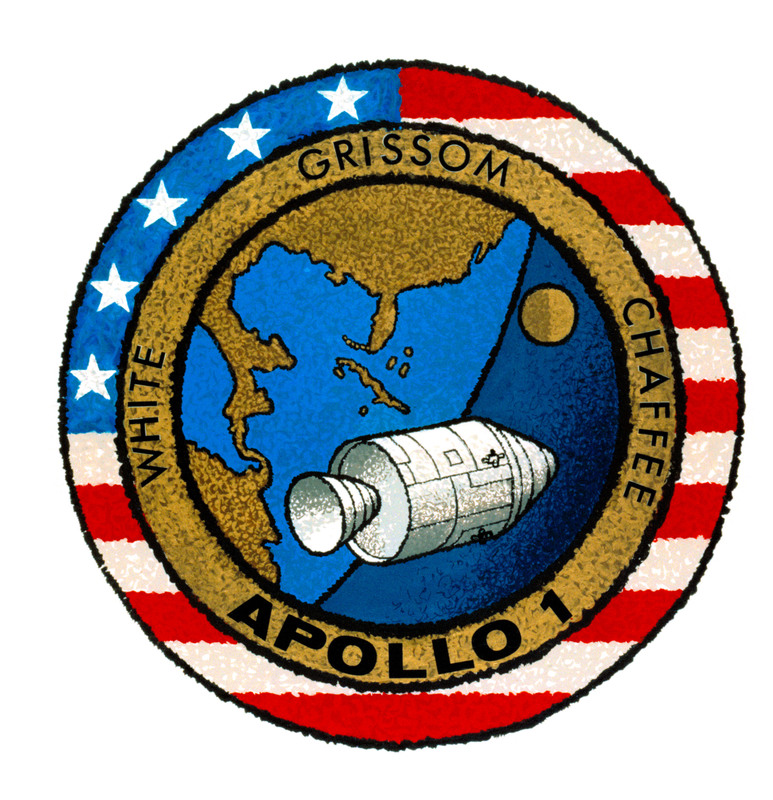 In the spring of 1967, NASA’s Associate Administrator for Manned Space Flight, Dr. George E. Mueller, announced that the mission originally scheduled for Grissom, White and Chaffee would be known as Apollo 1, and said that the first Saturn V launch, scheduled for November 1967, would be known as Apollo 4. The eventual launch of AS-204 became known as the Apollo 5 mission. No missions or flights were ever designated Apollo 2 or 3. The second launch of a Saturn V took place on schedule in the early morning of April 4, 1968. Known as AS-502, or Apollo 6, the flight was a success, though two first-stage engines shut down prematurely, and the third-stage engine failed to reignite after reaching orbit. Oct. 11, 1968, was a hot day Cape Kennedy, but the heat was tempered by a pleasant breeze when Apollo 7 lifted off in a two-tongued blaze of orange-colored flames. The Saturn IB, in its first trial with men aboard, provided a perfect launch, and its first stage dropped off two minutes, 25 seconds later. The S-IVB second stage took over, giving astronauts their first ride atop a load of liquid hydrogen. At five minutes, 54 seconds into the mission, Walter Schirra Jr., the commander, reported, “She is riding like a dream.” About five minutes later, an elliptical orbit was achieved 140 by 183 miles above Earth. Once Apollo 7 cleared the pad, a three-shift mission control team — led by flight directors Glynn Lunney, Eugene Kranz and Gerald D. Griffin — in Houston took over. Schirra, Donn Eisele and R. Walter Cunningham inside the command module had heard the sound of propellants rushing into the firing chambers, noticed the vehicle swaying slightly and felt the vibrations at ignition. Ten and a half minutes after launch, with little bumpiness and low g loads during acceleration, Apollo 7 reached the first stage of its journey, an orbital path 227 by 285 kilometers above Earth. The S-IVB stayed with the CSM for about 1 1/2 orbits, then separated. Schirra fired the CSM’s small rockets to pull 50 feet ahead of the S-IVB, then turned the spacecraft around to simulate docking, as would be necessary to extract an LM for a moon landing. The next day, when the CSM and the S-IVB were about 80 miles apart, Schirra and his crewmates sought out the lifeless, tumbling 59-foot craft in a rendezvous simulation and approached within 70 feet. Cunningham reported the spacecraft lunar module adapter panels had not fully deployed, which naturally reminded Thomas Stafford, the mission’s capsule communicator, or capcom, of the “angry alligator” target vehicle he had encountered on his Gemini IX mission. This mishap would have been embarrassing on a mission that carried a lunar module, but the panels would be jettisoned explosively on future flights. After this problem, service module engine performance was a joy. This was one area where the crew could not switch to a redundant or backup system. At crucial times during a lunar voyage, the engine simply had to work or they would not get back home. On Apollo 7, there were eight nearly perfect firings out of eight attempts. On the first, the crew had a real surprise. In contrast to the smooth liftoff of the Saturn, the blast from the service module engine jolted the astronauts, causing Schirra to yell “Yabadabadoo” like Fred Flintstone in the contemporary video cartoon. Later, Eisele said, “We didn’t quite know what to expect, but we got more than we expected.” He added more graphically it was a real boot in the rear that just plastered them into their seats. But the engine did what it was supposed to do each time it fired. The Apollo vehicle and the CSM performed superbly. Durability was shown for 10.8 days — longer than a journey to the moon and back. With few exceptions, the other systems in the spacecraft operated as they should. Occasionally, one of the three fuel cells supplying electricity to the craft developed some unwanted high temperatures, but load-sharing hookups among the cells prevented any power shortage. The crew complained about noisy fans in the environmental circuits and turned one of them off. That did not help much, so the men switched off the other. The cabin stayed comfortable, although the coolant lines sweated and water collected in little puddles on the deck, which the crew expected after Joseph Kerwin’s team test in the altitude chamber. Schirra’s crew vacuumed the excess water out into space with the urine dump hose. A momentary shudder went through the Mission Control Center in Houston when both AC buses dropped out of the spacecraft’s electrical system, coincident with automatic cycles of the cryogenic oxygen tank fans and heaters. Manual resetting of the AC bus breakers restored normal service. Some of the crew’s grumpiness during the mission could be attributed to physical discomfort. About 15 hours into the flight, Schirra developed a bad cold, and Cunningham and Eisele soon followed suit. A cold is uncomfortable enough on the ground, but in weightlessness it presents a different problem. Mucus accumulates, fills the nasal passages and does not drain from the head. The only relief is to blow hard, which is painful to the ear drums. So the crew of Apollo 7 whirled through space suffering from stopped-up ears and noses. They took aspirin and decongestant tablets, and discussed their symptoms with doctors. The CSM’s service propulsion system, which had to fire the CSM into and out of the moon’s orbit, worked perfectly during eight burns lasting from half a second to 67.6 seconds. Apollo’s flotation bags had their first try out when the spacecraft, considered a “lousy boat,” splashed down in the Atlantic southeast of Bermuda, less than 2 kilometers from the planned impact point. Landing location was 27 degrees, 32 minutes north, and 64 degrees, four minutes west. The module turned upside down, but when inflated, the brightly colored bags flipped it upright. The tired, but happy, voyagers were picked up by helicopter and deposited on the deck of the USS Essex by 8:20 a.m. EDT. Spacecraft was aboard the ship at 9:03 a.m. EDT. Apollo 7 accomplished what it set out to do — qualifying the command and service module, and clearing the way for the proposed lunar orbit mission to follow. Its activities were of national interest. A special edition of NASA’s news clipping collection called “Current News” included front page stories from 32 major newspapers scattered over the length and breadth of the nation. Although the post-mission celebrations may not have rivaled those for the first orbital flight of an American, John Glenn in 1962, enthusiasm was high and this fervor would build to even greater heights each time the lunar landing goal drew one step closer. Lunar Module PilotJames A. Lovell Jr.
Lunar Module PilotEdwin E. Aldrin Jr. The mission objectives for Apollo 8 included a coordinated performance of the crew, the command and service module, or CSM, and the support facilities. The mission also was to demonstrate translunar injection; CSM navigation, communications and midcourse corrections; consumable assessment; and passive thermal control. The detailed test objectives were to refine the systems and procedures relating to future lunar operations. All primary mission objectives and detailed test objectives were achieved. All launch vehicle and spacecraft systems performed according to plan. Engineering accomplishments included use of the ground network with onboard navigational techniques to sharpen the accuracy of lunar orbit determination and the successful use of Apollo high-gain antenna – a four-dish unified S-band antenna that deployed from the service module, or SM, after separation from the third stage. 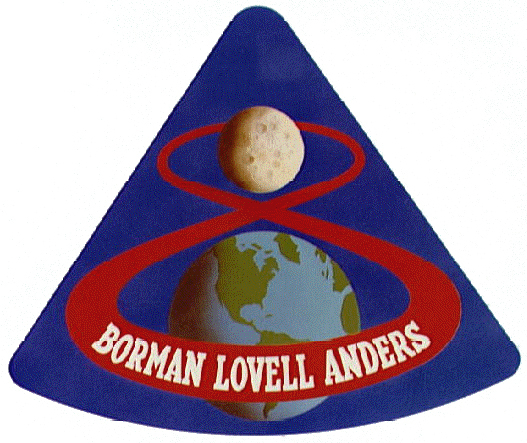 Apollo 8 launched from Cape Kennedy on Dec. 21, 1968, placing astronauts Frank Borman, James Lovell Jr. and William Anders into a 114 by 118 mile parking orbit at 32.6 degrees. During the second revolution, at two hours, 50 minutes ground elapsed time, the S-IVB third stage restarted for a five-minute, 17-second burn, initiating translunar coast. Following S-IVB/CSM separation at three hours, 21 minutes, a 1.5 feet per second radial burn of the SM reaction control engines was initiated to establish sufficient distance for S-IVB propellant dumping. Following the propellant dumping, which sent the stage into diverging trajectory and solar orbit, the separation distance still was deemed inadequate and a second SM reaction control burn of 7.7 feet per second was performed. The first midcourse correction occured at about 10 hours, 55 minutes into the mission and provided a first check on the service propulsion system, or SPS, engine prior to committing spacecraft to lunar orbit insertion. The second and final midcourse correction prior to lunar orbit insertion occurred at 61 hours, 8 minutes, 54 seconds. Loss of signal occurred at 68 hours, 58 minutes, 45 seconds when Apollo 8 passed behind the moon. At that moment, NASA’s three astronauts became the first humans to see the moon’s far side. The first lunar orbit insertion burn, at 69 hours, 8 minutes, 52 seconds, lasted four minutes, two seconds and reduced the spacecraft’s 8,400 feet per second velocity by 2,994 feet per second, resulting in an initial lunar orbit of 70 by 193 miles. The orbit circularized at 70 miles by the second lunar orbit insertion burn of 135 feet per second, performed at the start of the third revolution, again on the back side of the moon, at 73 hours, 35 minutes, five seconds. During the 20-hour period in lunar orbit, the crew conducted a full, sleepless schedule of tasks including landmark and landing site tracking, vertical stereo photography, stereo navigation photography and sextant navigation. At the end of the 10th lunar orbit, at 89 hours, 19 minutes, and 16 seconds, a three-minute, 23-second trans-Earth injection burn was conducted, adding 3,522 feet per second. Only one midcourse correction, a burn of five feet per second conducted at 104 hours, was required instead of the three scheduled. Six telecasts were conducted during the mission: two during translunar coast, two during lunar orbit and two during trans-Earth coast. These transmissions were telecast worldwide and in real time to all five continents. During a telecast on Christmas Eve, the crew read verses from the first chapter of Genesis and wished viewers, “Good night, good luck, a Merry Christmas and God bless all of you – all of you on the good Earth.” All telecasts were of excellent quality. Voice communications also were exceptionally good throughout the mission. Separation of the command module, or CM, from the SM occurred at 146 hours, 31 minutes. A double-skip maneuver conducted during the re-entry steering phase resulted in an altitude gain of 25,000 to 30,000 feet. The re-entry velocity was 24,696 mph, with heatshield temperatures reaching 5,000 degrees F. Parachute deployment and other re-entry events were nominal. Apollo 8 splashed down in the Pacific Ocean at 10:51 a.m. EST Dec. 27. The splashdown was about 5,100 yards from the recovery ship USS Yorktown, 147 hours after launch and precisely on time. According to prior planning, helicopters and aircraft hovered over the spacecraft, and pararescue personnel were not deployed until local sunrise, 50 minutes after splashdown. The Apollo 8 crew reached the recovery ship at 12:20 p.m. EST.